Dimension ANSI B16.9, ANSI B16.28, M55-5P-43 Type A, M55-5P-43 Type B, JIS B2312, JIS B2313. Simplex Steel Industries Buttweld Lateral Tee of different shapes and sizes and with different specifications as per the customers requirement. Simplex Steel is the world leader in Buttweld Lateral Tee. 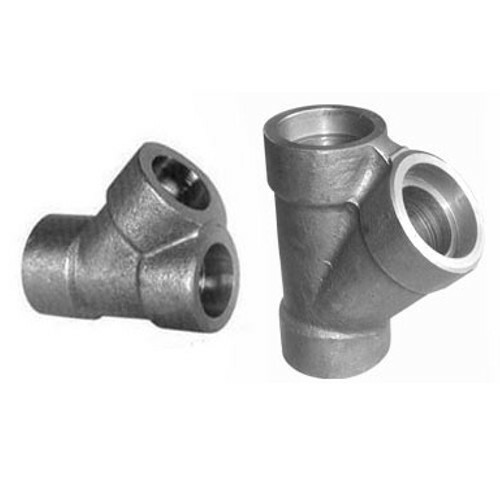 ASME B 16.9 Buttweld Lateral Pipe Fittings standard covers pressure-temperature ratings, materials, dimensions, tolerances, marking, testing, and methods of designating openings for fittings. Duplex Steel Lateral Tee: ASTM A 815 UNS NO S31803 , S32205.